Exposed brick walls or face brick walls are a bit of a throw-back to the 70s but they are also a feature that has once again achieved popularity. 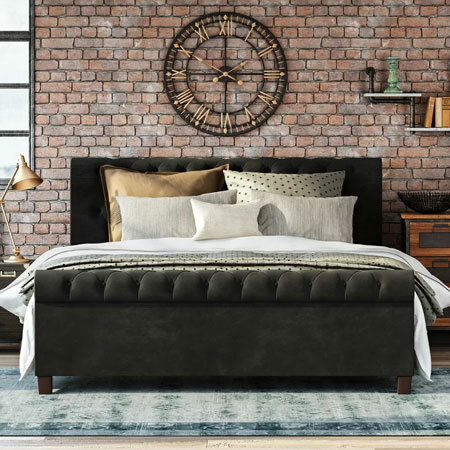 Until recently, homeowners stuck with dark brick walls in their home were looking for ways to disguise these rather than let them shine as a feature in a room. Nowadays, exposed brick, whether an existing face brick feature or something you have added, can add to the look and feel of a room. If you have been living with a face brick wall and it's not quite your style, chances are you have tried your utmost to disguise it. But perhaps you have forgotten how much character and warmth a brick wall can add, or that a brick wall adds texture and colour to a living space. Or perhaps it's simply that you have been overlooking the many ways to incorporate a brick wall or exposed brick as part of your decorating scheme. 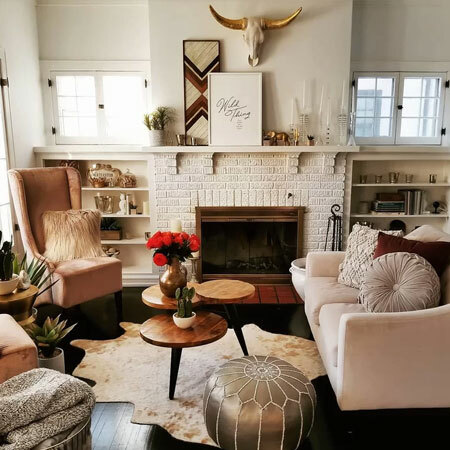 If you have found that a dark brick wall overpowers a room, making it feel small and claustrophobic, you can always look at painting the wall to lighten up the space. Even a whitewashed brick wall adds charm and personality to a room, and it's easy enough to apply a couple of coats of acrylic PVA over a plaster or brick primer coat. Whitewashing a face brick wall will not only lighten up a previously dark room, but it will also fix any problems with crumbling mortar or brick and allow you to keep the wall cleaner. 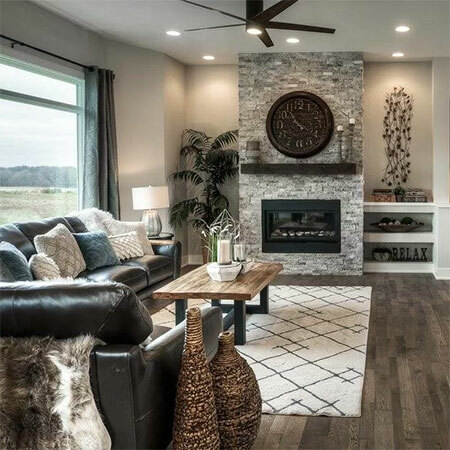 Many homeowners consider a brick fireplace surround to be an eyesore, and a problem that isn't easily fixed since removing a brick fireplace isn't really an option. 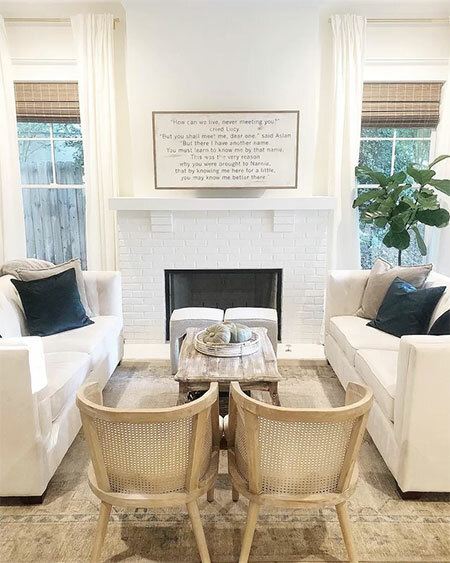 But again, it is easy to cover up a brick fireplace with a couple of coats of paint to turn it into an attractive feature that is easier on the eye. If you feel the need to add a bit more oomph to the wall, that’s when painting brick is a choice you can make. Not only will painting a brick wall give it an entirely different look; it will also give the room an entirely different feel. However, don’t take the decision to paint lightly, as there will be some prep work involved before you get started, and once painted it is difficult to remove. 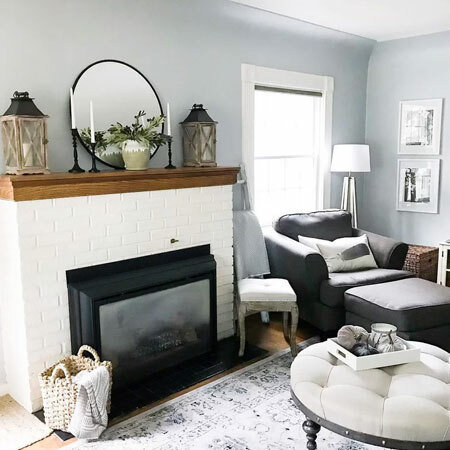 It is far better to makeover a dark brick fireplace surround with paint to turn it into an attractive focal point than try to hide or disguise it as if it isn't there. When you are lucky enough to have a feature in a room it makes more sense to take full advantage of this and decorate the area to have an interesting architectural feature. 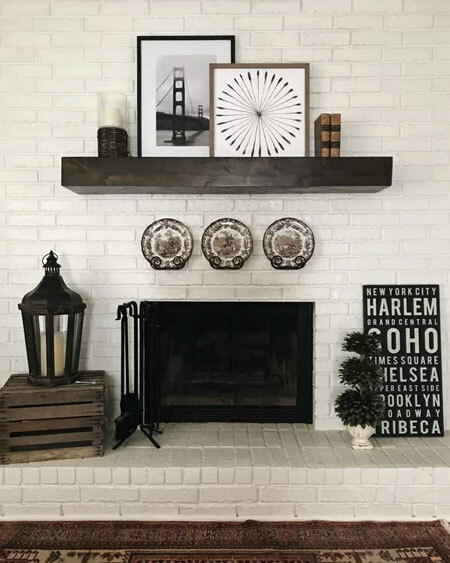 One great feature of brick walls is that they add character to any room and it is easy to play on the look by adding vintage keepsakes or modern accessories - or even a combination of both - to play on this look. After painting a fireplace in light hues, it is easy to bring in accessories that help make a statement feature. Black and white is a timeless colour combination that never goes out of fashion. With a fireplace already in the room, you have the perfect place to mount your favourite art or display accessories. Take advantage of this feature to showcase what you have and add even more detail to this focal point. A large expanse of brick wall lends itself to so many styling options. Think oversized wall decor accessories, open shelves, or colourful artwork. The organic backdrop lets your accents shine, adding even more to a room. Unlike a boring white wall, exposed brickwork offers a far more visually appealing palette of neutral or organic colours that let your artwork pop. If you thought brick walls only worked with traditional or cottage style, think again. 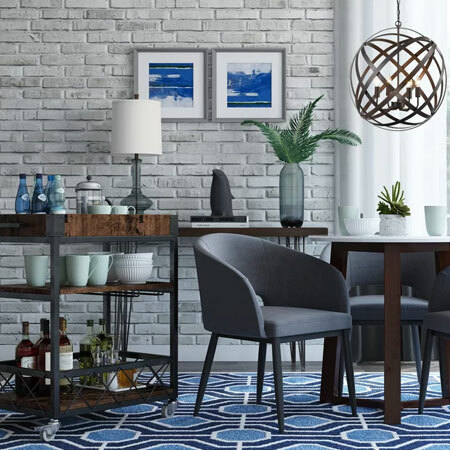 In the last few years, we have seen how architects and interior designers have incorporated the look and feel of brick walls to add personality to rooms. 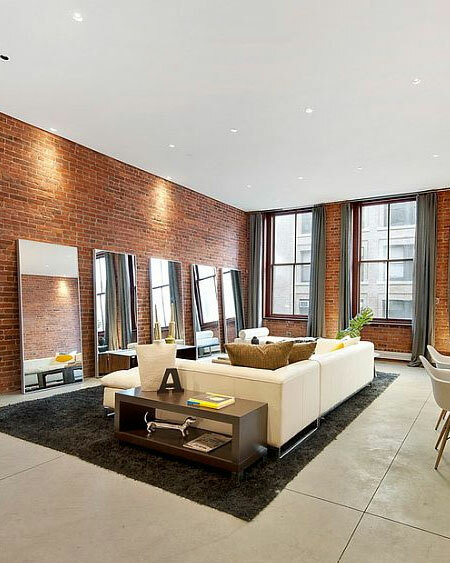 Nowadays, you can find exposed and face brick walls in modern interiors and contemporary living spaces to add unique character to homes. Modern homes with accent brick walls make a huge difference to the atmosphere of any room and are definitely here to stay. The natural hues and shades of brick just cannot be replicated with other wall finishing materials, while adding texture and warmth to even the most sterile of contemporary settings.